For this Husband and Wife Realtor Team, It’s all about being together and doing what we love that led to our success – Selling Real Estate! Our goal is to be more than your realtors just once, but to earn your business for life! With much of our business coming from past clients and their referrals, we feel our track record speaks for itself. Let us put our team to work for you and see why our clients choose us time and time again. 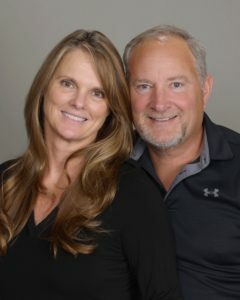 The Sobczyk’s have 33 years of combined experience, selling in Big Bear Valley! Earning Top Producer status our first year in operation, we have won First Team’s coveted Hall of Fame Award every year since 2003. By evolving with technology and ever changing market conditions, we continue to remain at the forefront of the fast moving real estate market. In 1967 my parents bought a cabin in Big Bear as a second home. I knew at five years old that some day I would live here. Now, 35 years later I moved up here with my family, and my parents still have that same cabin. What a great place to live and visit. The memories are still being made. For the last 20 years I have had four retail stores, one storage building and I still hold my contractors license. I have since sold my businesses a few years back and do some consulting work with companies. But my true love is real estate. I take all my years in marketing experience to help you find what you are looking for. It is great to see a new family come here to Big Bear and start new memories of their own. This is what Big Bear is all about.